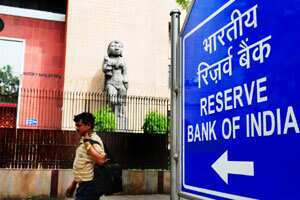 RBI took a fresh step in its fight against inflation during the week. As was widely expected, it increased its key policy rate on Tuesday. Its main lending rate, the repo, is up 25 basis points to 8.5%. And that means the reverse repo is automatically up by 25 basis points to 7.5%. Tuesday’s rate hike was the 13th since March of last year. But RBI has also indicated it’s unlikely to increase the repo again in December if inflation doesn’t spike up. On the downside, RBI cut is growth forecast for the fiscal year to from 8% to 7.6%. But its inflation forecast remains the same at 7%. The Reserve Bank also announced a landmark change in banking rules on Tuesday. It finally deregulated savings bank deposit rates. Until Tuesday, the fixed rate for savings deposits was 4%. RBI’s move opens up the last of India’s regulated rates to market forces. And one bank was quick to respond. Within hours of RBI’s announcement, Yes Bank increased its savings rate from the old 4% to 6%. Lenders like Yes Bank are most likely to gain from the deregulation because savings deposits only make up a small portion of their total deposits. The government unveiled what amounted to a series of Diwali gifts just one day ahead of the festival of lights. For one, there was a new manufacturing policy. The policy called for the creation of so-called National Investment and Manufacturing Zones. The land for these massive projects will usually be infertile land or waste land. And environmental and labour regulations are likely to be eased at these facilities. Of course, there were more goodies for everyone from homeowners to farmers. The cabinet gave the green light to a 1% interest subsidy on housing loans up to Rs15 lakh for houses worth up to Rs25 lakh. It also hiked the floor prices for wheat, barley and lentils for the next fiscal year. The increase in support prices comes just months before elections in Punjab, a major wheat growing state.